Forget about commercial stain-removal sprays. They're expensive and often laden with chemicals. You can treat your clothing stains just as effectively with items that you have at home—and at a fraction of the price. Here are 10 budget-friendly options to consider. Detergent is the must-have item for clean clothes, but it can also be your must-have item for stain removal. Apply a bit of liquid laundry detergent to your stain, and rub it in with a brush or your fingers. Then, toss the soiled garment into the wash along with the rest of your clothing, and forget about it. Do you like the convenience of commercial stain remover sprays? Just fill an empty spray bottle with equal parts liquid laundry detergent and water, and you'll have the perfect replacement. 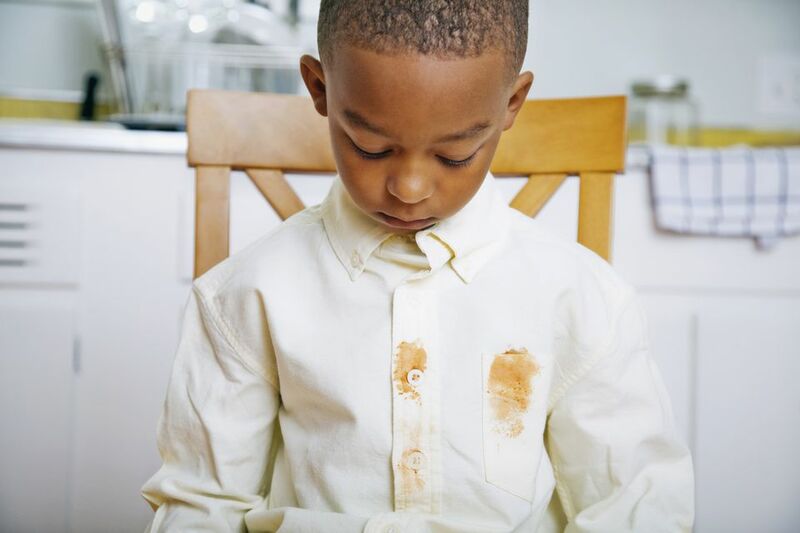 For tough food stains, give liquid dish soap a try. Squirt a bit on the spot you wish to treat or soak the entire garment in soapy water for a few hours. Then, rinse out the soap, and wash as usual. This works especially well on stains caused by greasy foods since dish soap is designed to break down oils. No time to devote to scrubbing? No problem. Just add 1/2 cup of baking soda in with your detergent, and your clothes will come out cleaner. This works especially well for white clothing that has gotten dingy over time. Retrieve that bottle of vinegar from your pantry, and put it to work in your laundry room. When mixed with equal parts water, vinegar is the perfect solution for soaking stained clothing. Use full-strength hydrogen peroxide to remove blood stains, or mix two parts hydrogen peroxide with one part dish soap to remove grass, wine, chocolate, or armpit stains. Allow the peroxide to sit for a few minutes. Then, dab at the stain with a clean cloth until it is lifted. Repeat the process if necessary. Wash the garment right away. Squirt a bit of white toothpaste onto your stain. Add a small amount of water (just as you do when you brush your teeth). Then, work the paste into your stain. Rinse and repeat as needed. This is great for removing tough stains like coffee from clothing since it's designed to do the same for your teeth. Remove permanent marker stains from clothing with rubbing alcohol. Just saturate the stain with the alcohol. Allow it to soak in; then, rub vigorously until the stain comes out. It turns out permanent marker isn't so permanent after all. 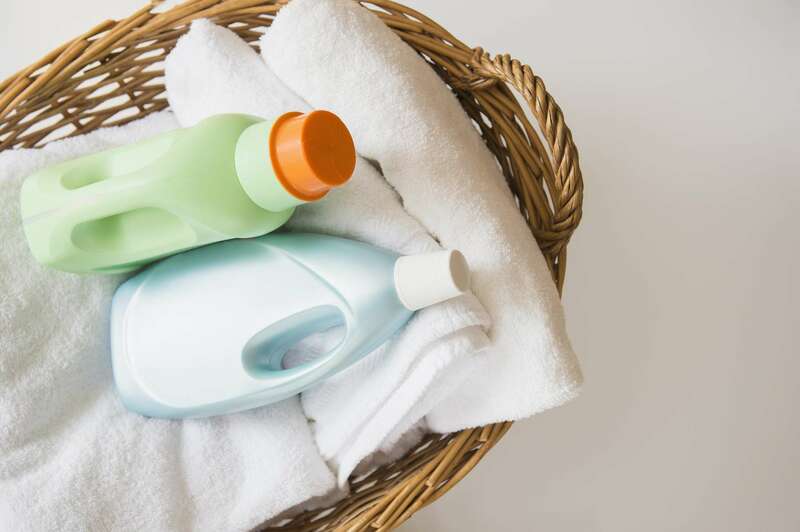 Relocate those little bottles of hotel shampoo to the laundry room. They're brilliant for lifting oil and blood stains. Just apply a squirt to the stain, give it some time to set, and dab at the stain until it vanishes. Drop a couple denture tabs into a bucket of water to remove stains from white clothing. It'll blast through coffee, tea, or tomato stains—all the hard stuff. With all of the cleaning products on the market, it's easy to overlook the simplest choice: water. Rinse or scrub out a stain with cold water as soon as it happens, and you're likely to find that's all the treatment you need.